Jap.139 "Try for the Best of Japan! The Worries of a Beautiful Girl Swordsman"
Rini and Serena come across a young girl who is practicing kendo sword fighting. They realise that she's living in a tent under a bridge and take her home to live with them. The girl quickly helps out around the house by helping Serena's mother cut vegetables. When asked about her own mother, the girl gets upset. The next day they watch her practice with an older woman. The woman beats her in the match and then continues to beat her with her kendo stick and tell her that she'll never get her dream of being Japan's best swordsman. The girl reveals that that's her mother. Serena and Rini go to her house that afternoon to talk to her. They both beat on the front doors and yell out that they want to speak with her but are embarrassed when they realise that no-one's home and that the mother is just getting back from shopping. The confront the mother who whispers to herself that she loves her daughter but that she's trying too hard. Serena begins to suspect that the mother may actually be trying to help the girl. Meanwhile Tigerseye has targeted the girl and has approached her as a swordsman from a rival school. He begins to summon the panel that he usually straps down his targets but the girl senses it and quickly turns around. Tigerseye senses that he'll have to try a more indirect approach. He beats her in a kendo match and tells her that he'll train her. He invites her to follow him. While they're walking, Lita and Raye see them and follow them suspecting something fishy is going on. Tigerseye tells the girl to close her eyes as part of his training. She begins to suspect something is wrong but he straps her to the panel and inspects her Dream Mirror. As per usual he doesn't find Pegasus. 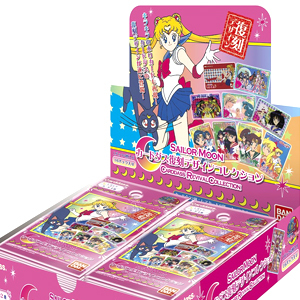 Super Sailor Moon, Super Sailor Mini Moon, Sailor Mars and Sailor Jupiter arrive. Sailor Jupiter attacks with Jupiter Thunderclap Zap which gets Tigerseye's attention. He summons the Lemres, Ietoriko to attack them while he retreats. Sailor Mars attacks her with Mars Fireball Ignite. This causes a bit of damage but the Lemres soon traps them all in a red web cage. Luckily Sailor Jupiter destroys it with her Jupiter Thunder Crash. The Lemres counters by tying them all up in a web. The little girl sees this and tries to attack the Lemres but her sword gets blasted with a web. The girl fights and fights to free her sword but refuses to let go. Super Sailor Moon yells at her to run and stop trying to win. The girl then realises that her mother was telling to to stop looking at small battles and look instead at the bigger picture. She releases her sword which flies towards the Lemres and hits it on her head. The girl unties the Sailor Scouts, saving them! Super Sailor Mini Moon uses Crystal Twinkle Bell to summon Pegasus, allowing Super Sailor Moon to defeat the Lemres with Moon Gorgeous Meditation. Later that day the girl enters a rematch with her mother. Instead of using physical force though she defeats her with a trap. She tells her mother that she learnt her lesson and they both go home happy. The Lemres, Ietoriko is one of many traditional Japanese style monsters, appearing almost exactly as a spider monster is shown in kabuki or Japanese stories. This Lemres had several web attacks that could tie people up and make cages and yup, she was killed by Moon Gorgeous Meditation. Sailor Mars and Jupiter were obviously given a chance to use their main attacks (much like Sailor Mercury in the last episode) a few more times before their powerup, which is coming soon. Once they reach their stronger forms, their costumes change and the animated cut scenes used in the first three seasons (and in this fourth season) of the anime become impossible to use. Their old attacks are still used every now and then though but are done in real time instead of an animated sequence. As Tigerseye poses, the Toei triangle logo (that can be seen before any of the Sailor Moon movies) appears behind him.